Suddenly, the usually calm and cool tropical water outside the Port Royale transformed into a murky battleground. The massive thunder of the cannons fired and fog started wheeling in from an open sea surrounds the treasure loaded merchant convoys. Here, no one will be guaranteed with a safe-passage, especially when you carry your valuables on the board. The Anne Bonn is deceived by a similar rogue captains who now direct those ships, declare for the time when she will get her reprisal and bring back the wealth and the treasures back to the ones worth it. 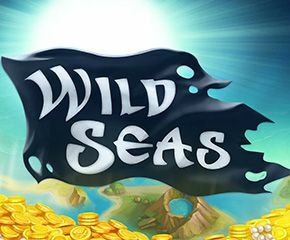 This paradise has been brought in the form of Wild Seas slot which is empowered by ELK Studios. This slot is built with five reels and offers 178 ways to make a win and is playable with a minimum and maximum amount of 20p to £100 per spin across all devices. 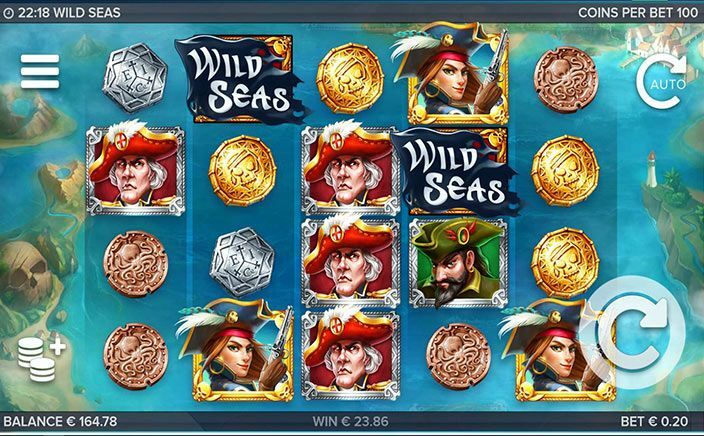 Visually superb, this slot takes well-designed symbols which include silver star coins, gold skull coins, different colour rogue captains, bronze octopus coins and Anne Bonny the ship’s captain. However, it has no bonus or scatters icons. Stage 1 (Break the Convoy)– look out for two Wild Seas flags anywhere on the reels two and four simultaneously after which Free Spins feature gets activated– one of the merchant captains on reels get randomly selected as opponents and replaces all other captains in this feature.This is the first level of the bonus game and is kicked off when a convoy of the wild merchant ships, covers an entire reel 5. The convoy will sail one step towards left for each free-spin. The pirate ships landing on reel 5 fires its cannons on any ship on a similar row. This damages merchant ships and will grip it back for any 1 spin. Moreover, extra hits will destroy it even further. Three hits on the ship will make it sink and will reveal captain’s loot chest. The only aim is to grab as many loot-chests as achievable before next bonus round as it will turn into the Sticky Wilds.The game will progress to stage 2 if one of 4 ships get sunk before they fade from reel 1. If not then bonus game will get ended. Stage 2 (Loot the Treasures)– players will then offered free sticky wild icons on all the locations held by the captain’s loot chests. Players aim is to grab as many sticky-wild chests as achievable to collect combined treasures which offer different payouts to players when they hit them. Wild Seas is a beautiful addition to the games section of Elk Studios. It is a highly entertaining slot along with superb graphics and sounds while offering ample suspense in bonus games for top payout of 1,780x your bet.